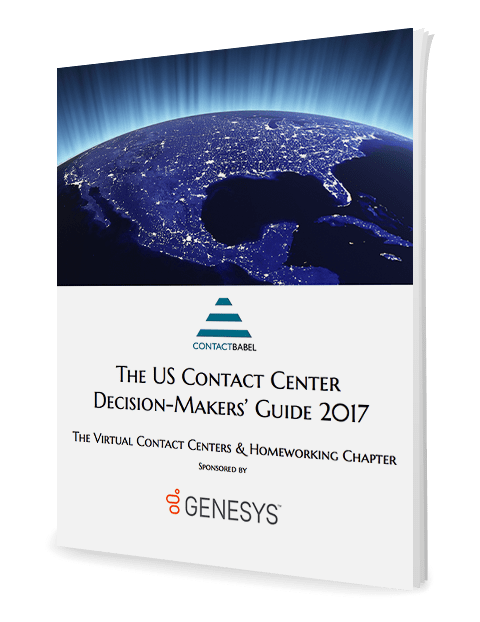 The “US Contact Center Decision-Makers Guide (2017 – 10th edition)” is the major annual report studying the performance, operations, technology and HR aspects of US contact center operations. This chapter helps you assess how your business can benefit from using a virtual contact center and homeworking. See how virtual contact centers and homeworking can provide a compelling solution for integrating contact centers, reducing agent churn, improving agent quality, better handling call spikes, extending contact center hours and expanding your contact center. .